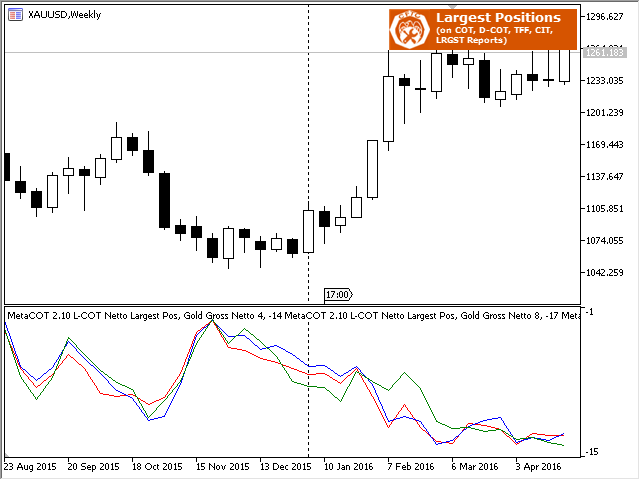 MetaCOT 2 CFTC ToolBox is a special library that provides access to CFTC (U.S. Commodity Futures Trading Commission) reports straight from the MetaTrader terminal. The library includes all indicators that are based on these reports. 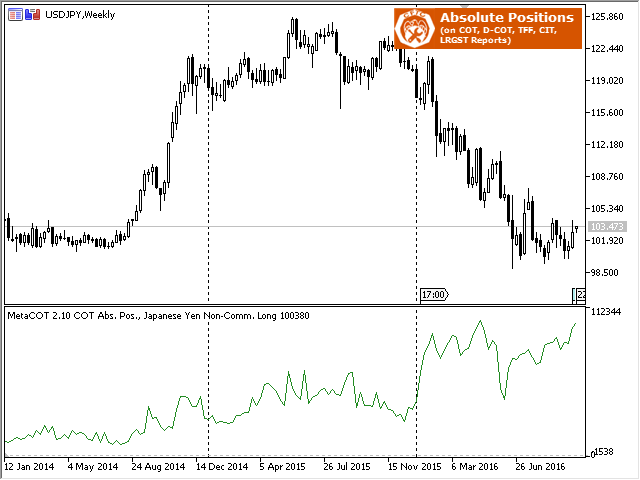 With this library you do not need to purchase each MetaCOT indicator separately. Instead, you can obtain a single set of all 34 indicators including additional indicators that are not available as separate versions. The library supports all types of reports, and provides data on major market participants. 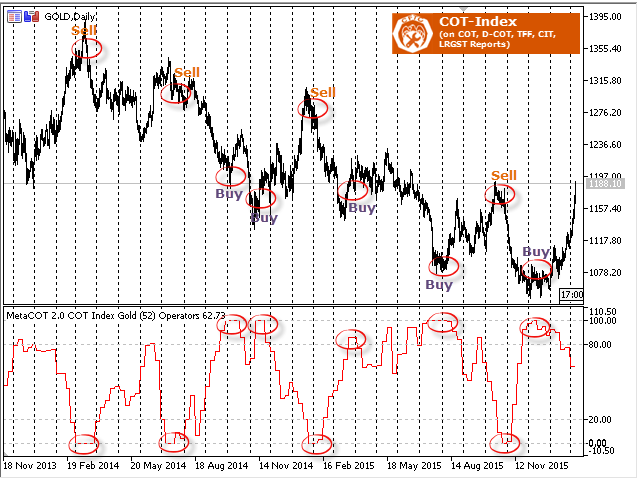 Provides an increased number of activations, you can use these indicators for many years. 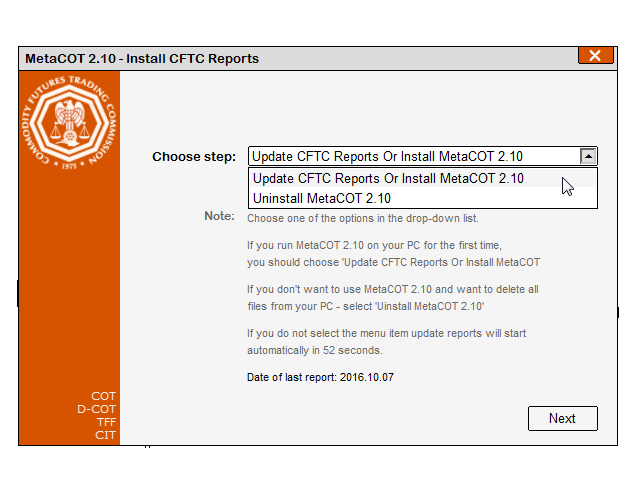 The library operation requires the CFTC reports to be downloaded and installed on your computer, which can be done with a special report installation utility MetaCOT 2 Install CFTC Reports MT4. Attention. In order to use this library, you should download to your computer and compile MetaCOT ToolBox (Set of Indicators) MT4 from the CodeBase. 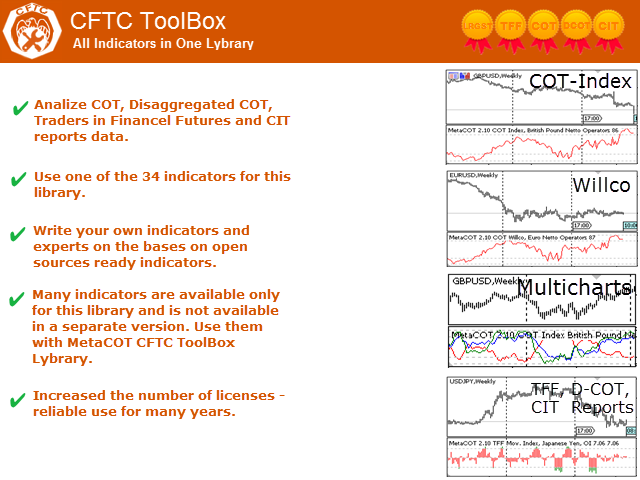 The indicators page also features detailed instructions on how to install the library and indicators required for its operation. - Starting from this version, a new utility for downloading reports is available - MetaCOT Data Provider. load local files and parse it. use if MetaCOT was't installed. This option is useful in the strategy tester if the installation was not performed. 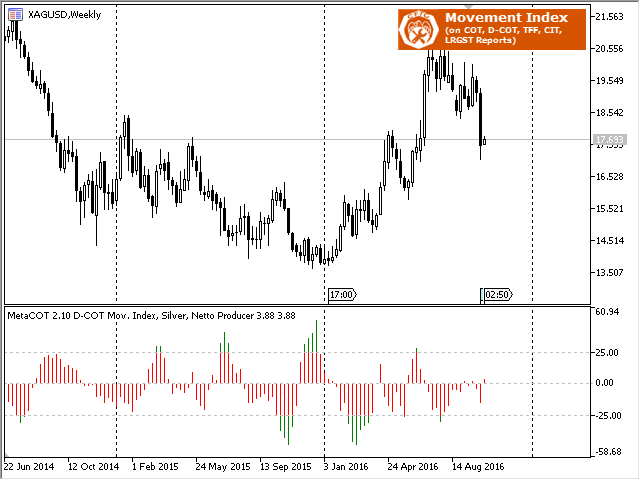 - All indicators began to contain system of update data (mini tool based on 'MetaCOT CFTC Install Reports'). Reports'. For this case you need switch on new parameter 'AutoUpdate' in position true. as 'Number of Traders' you will see message 'Incorrect combination of parameters'. 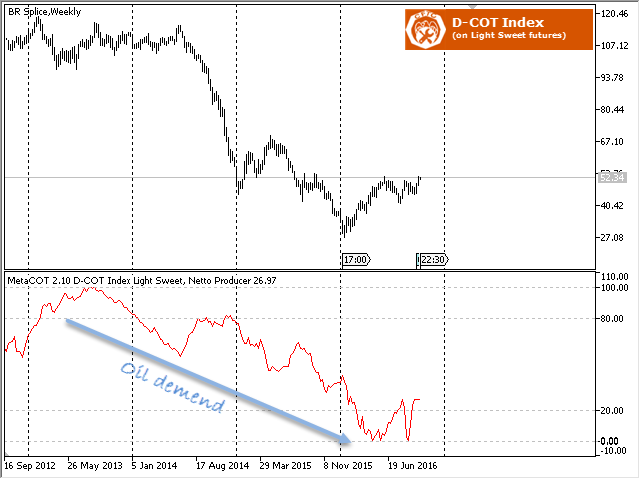 - Removed parameter 'Data Type' for Largest COT indicators group. 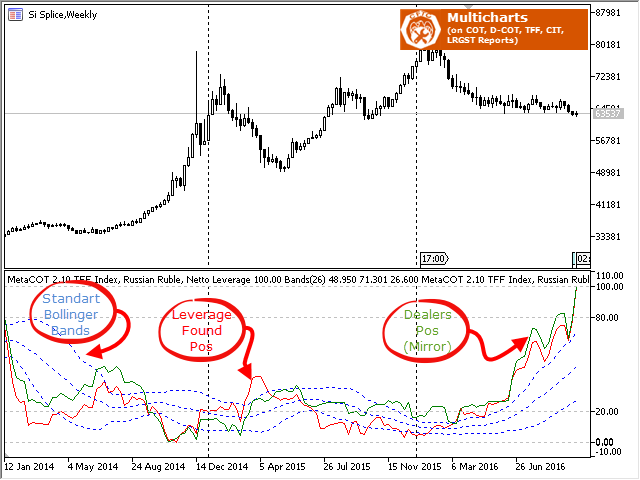 This parameter not effect for largest traders. - Fixed a bug in strategy tester. When any indiactors was started in strategy tester it's values was intermittent. 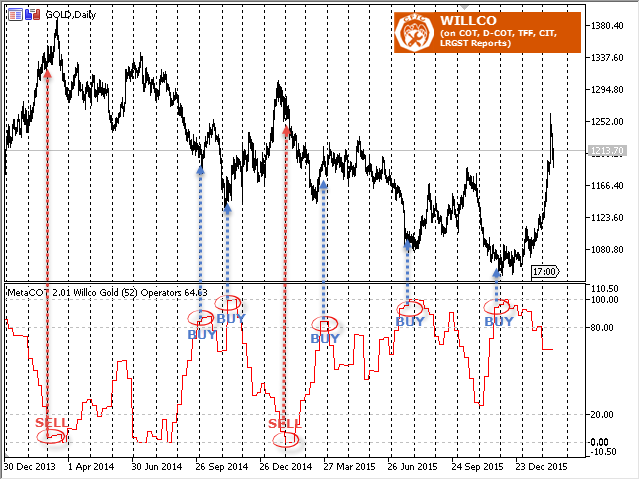 - Now all MetaCOT indicators and ToolBox Library contain additional GUI forms and MessageBox for more user frendly. The work of indicators has become clearer. 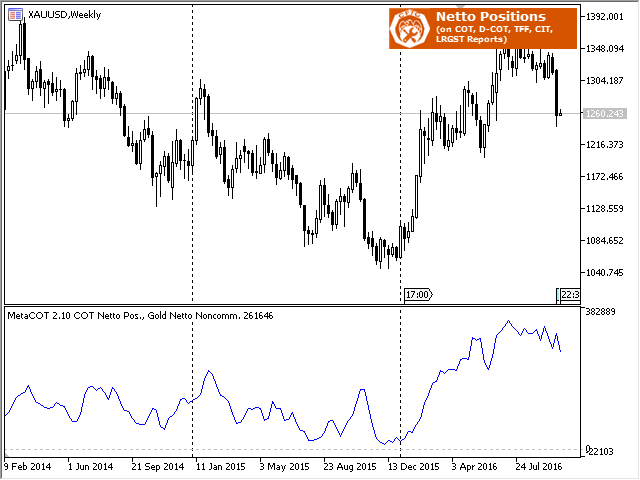 - Fixed bug: in the previous versions of ToolBox, the "Futures Only" report was actually displayed regardless of the report type specified ("Futures Only" or "Futures And Options"). - Internal fixes related to the releases of new versions of MetaTrader and MQL. MetaCOT now fully complies with the new language standard. Fixed the error that caused the data file to be redownloaded, even if the data have been downloaded earlier. This error caused a significant slowdown of the indicator operation in the strategy tester and loaded the computer hard drive.